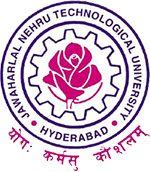 JNTUH B.Tech/B.Pharmacy 2-1, 3-1, 4-1 Sem (R16, R15) I Mid Exam Time Tables Sept 2018, jntu hyderabad b.tech and b.pharmacy 2-1, 3-1 & 4-1 1st mid exam time tables 2018. JNTU Hyderabad has announced B.Tech/B.Pharmacy II-I, III-I and IV-I Courses I- mid term exams timetables September 2018. Students those who are looking for time tables please download from below mention links.